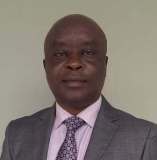 Dr. Henry Adebowale Adimula was appointed Director, Research & Development on 1st Jan., 2017. Until his appointment he was the Head, Industrial Safety and Environment Technology Department. Dr. Adimula holds a B.sc degree in chemistry and M.sc degree in chemistry from the University of Illorin respectively. He holds a PhD degree from the University of Benin. Dr. Adimula is an accomplished chemist and has contributed his quota to the advancement of knowledge through publications in renowned journal and has co-authored two books. He is an experienced researcher with interest in biopolymer and bioremediation of Petroleum hydrocarbon sites. He is a joint winner on two occasions of the Petroleum Technology Development Fund’s (PTDF) research grant competition for the work titled “Immobilization of oil degrading micro organisms in local cellulosic materials for rapid deployment in bioremediation of oil polluted sites”. He is an active member of the Chemistry Society of Nigeria and the Nigeria Environment Society. Congratulation Sir, I hope your new appoitment will be benefit on you and your family, sir I wish you favourable appoitment.